GLAD TO CONNECT AND EXPLORE THE PARTY OF POSSIBILITIES WITH YOU. ​What if now is the time to express and choose everything you came here to be? Whatever it is for you, it is possible. Thousands of people around the world have created the life they desire by using the simple and pragmatic tools of Access Consciousness® that you will be introduced to in the Foundation class. Everything can change. Anything is possible. The question is, will you choose it? 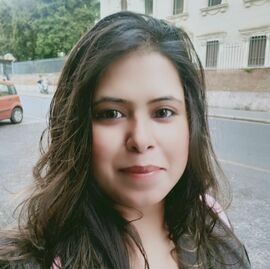 Deepshikha Balwani – International Access Consciousness Certified Facilitator, Life Coach and Energy Healer. Deepshikha is certified Access Consciousness facilitator, XLRI alumni, coaching transforming people PAN India, is truly a game changer. Her words, her work, her touch, her presence brings an innate sense of joy, ease and assurance of possibility. She is the catalyst for change (transformation coach, healer, therapist, consciousness Facilitator, motivational speaker access certified facilitator (one out 46), in across Asia. It is her passion to free people from the shackles of their past and empowering them to take charge of their present and thus recreating a beautiful future. She is a Life Coach and Energy Healer for individuals, children, couples, corporates and groups. She has the potency to heal your Mind, Body & Soul in a gentle & caring manner.